The largest trial of adult stem cell therapy in heart attack patients has begun at The London Chest Hospital in the UK. Heart disease is the world’s leading cause of death. Globally, more than 17 million people died from heart disease last year. In the US, over 1 million people suffer a heart attack each year, and about half of them die. Heart attacks are usually caused by a clot in one of the coronary arteries, which stops the flow of blood and oxygen to the heart. If the blockage is not treated within a few hours, then it causes heart muscle tissue to die. The stem cell trial titled - “The effect of intracoronary reinfusion of bone marrow-derived mononuclear cells (BM-MNC) on all cause mortality in acute myocardial infarction,” or “BAMI” for short – has been made possible due to an $8.1 million award from the European Commission. A total of 3,000 patients will be involved in the trial to test whether life can be prolonged by administering stem cells from the patient’s own bone marrow. The stem cells are injected into the patient’s heart within 5 days of suffering a heart attack. Stem cell research is exploding and the potential is limitless. Imaging having an injection of your own stem cells and repairing the damage caused by a heart attack. No more open heart surgery. No more hip and knee joint replacements, or even liver transplants either. Within a few years, I predict most surgeries will be replaced by simple stem cell injections. Soon we will all have our stem cells harvested, cultured, and ready for use as needed. Stem cell therapy could actually save the health care system in this county by eliminating costly surgeries. However, who stands to lose income if stem cell therapy becomes a reality? Many of those in our current, bloated, ineffective health care system. I believe that the US health care system has systematically blocked stem cell research at every turn. I only hope that they are just delaying the inevitable and are unable to stop this vital research. The truth is stem cell treatment of heart disease has been available in Europe for several years. The study comes on the heels of an existing therapy. Please follow this research. Israel has a new stem cell “wrap” that can be placed around fractures. The cells absorb into the bone and reduce healing time by 50%, while the wrap dissolves in just 10 days. Don’t be fooled by myths like using unborn fetuses. These urban legends are just propaganda to thwart research. 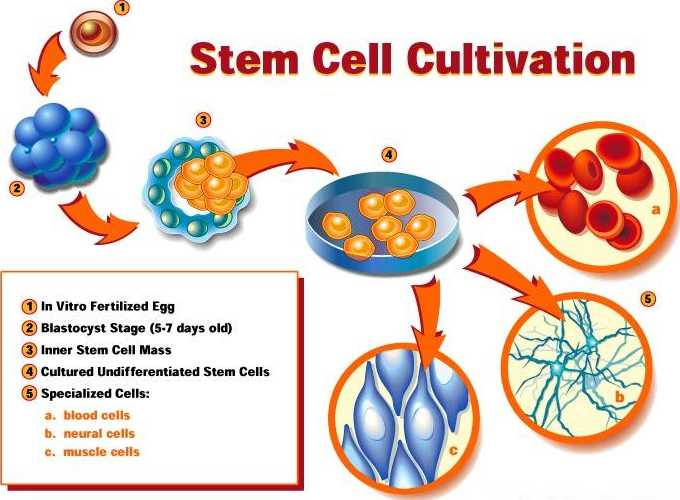 Stem cells work because they are your cells with your DNA blueprint. Don’t allow those that currently profit from your illnesses to delay or prevent your future health.